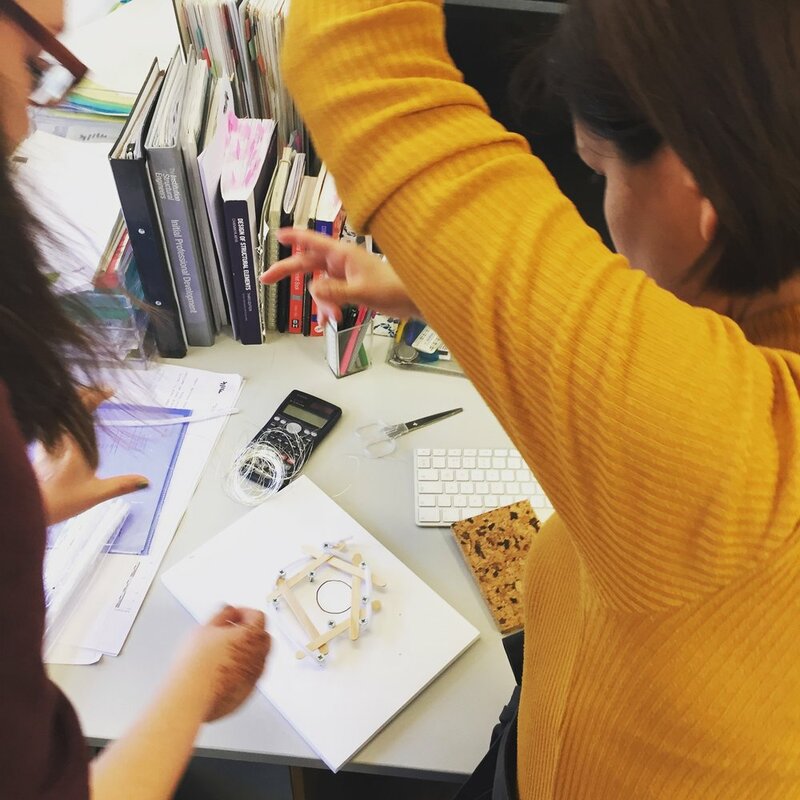 To brainstorm ideas for our Antipavilion competition entry we held a creative workshop in one of our Tuesday morning meetings. 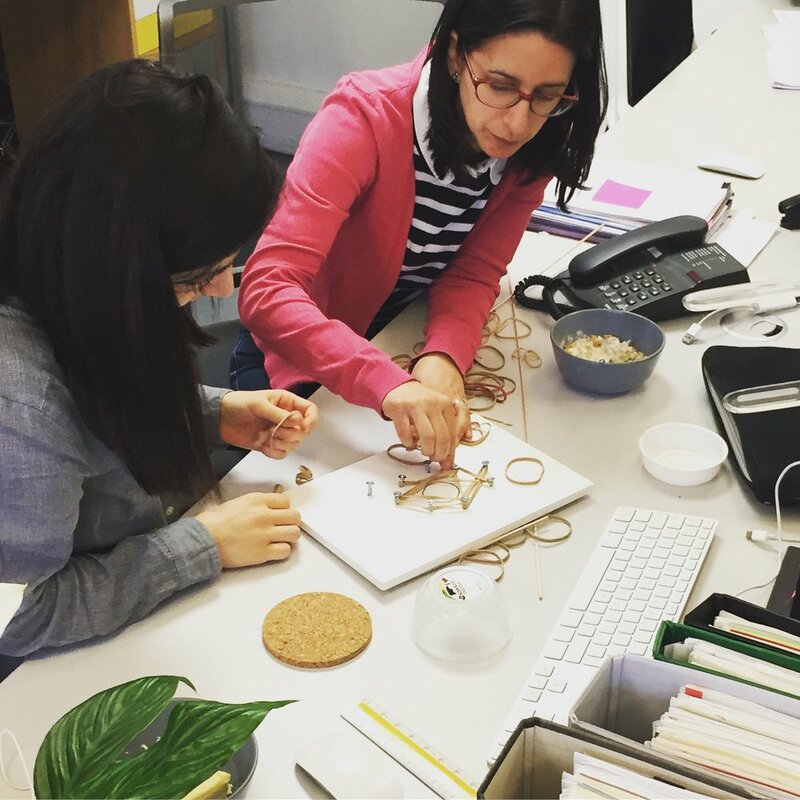 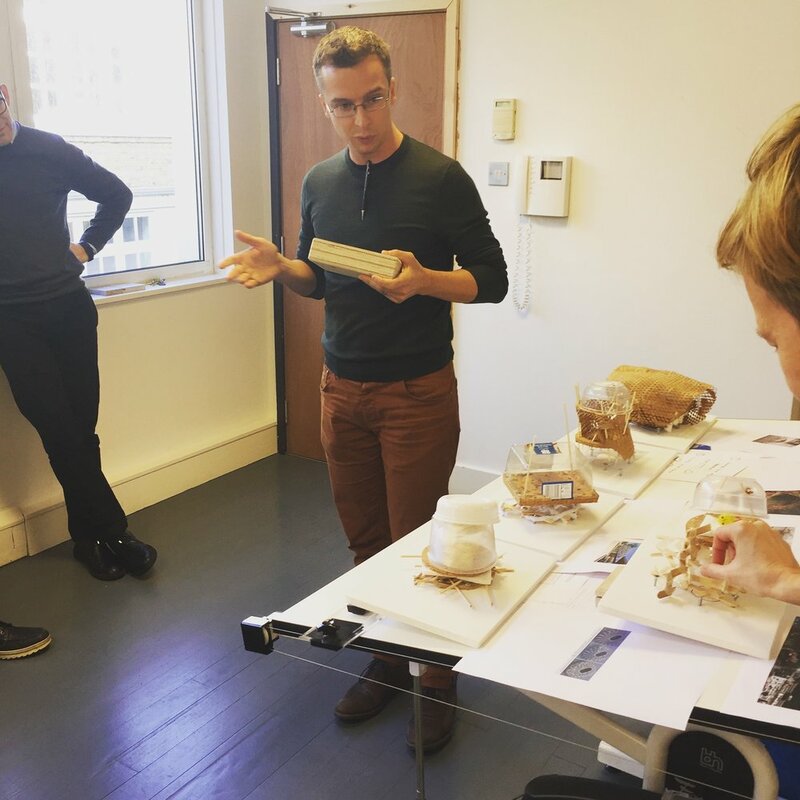 Using our theme of Urban Nests, we paired up into multidisciplinary teams to get a varied point of view and were given everyday materials, such as packaging; elastic bands and drinks coasters. 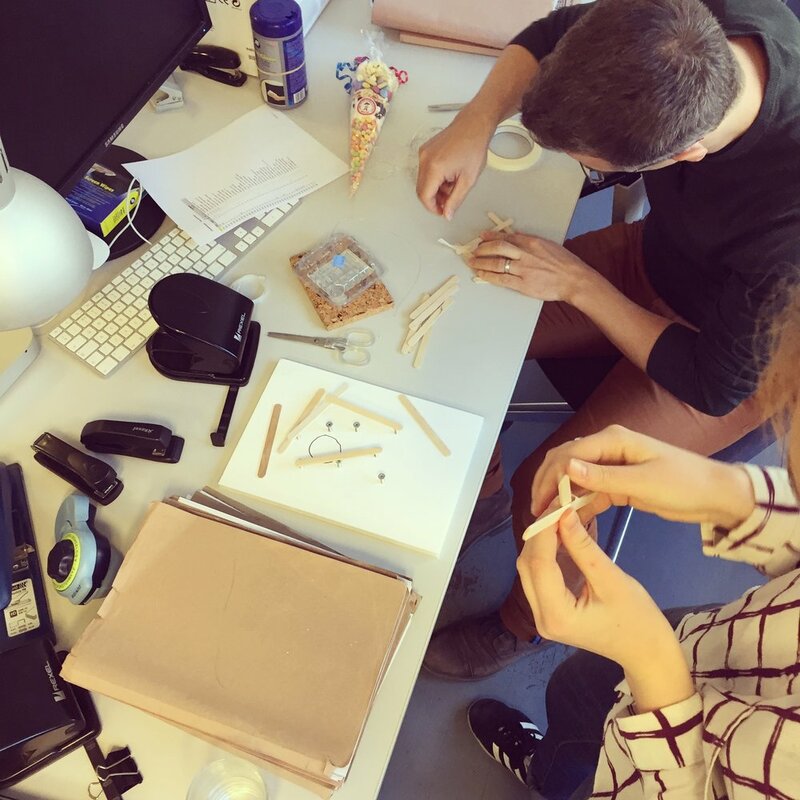 Using these humble materials and given a short amount of time we created "nest" inspired models, exploring structural build up, how to ‘feather’ our nests and the essential layout of living in the micro homes.